Every single Monument Builders game in one amazing download! Do you love the dazzling, informative time management fun of the incredibly popular Monument Builders games? Well here's your chance to get all of the titles in the series in one convenient package! 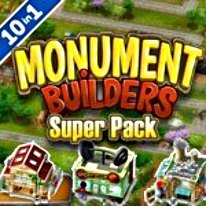 The Monument Builder's Super Pack contains the following games; Monument Builders: Big Ben, Monument Builders: Titanic, Monument Builders: Cathedral Rising, Monument Builders: Colosseum, Monument Builders: Great Wall of China, Monument Builders: Alcatraz, Monument Builders: Empire State Building, Monument Builders: Notre Dame, Monument Builders: Statue of Liberty, AND Monument Builders: Eiffel Tower.